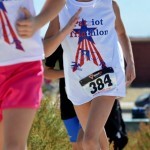 Please go to http://saturdaywarriors.net/event-info/patriot-kids for information and details. 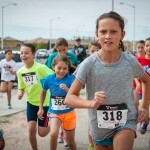 A non-competitive (not timed) race for 5 – 12 year olds. The participants will start by running UP Loma Colorado (on the bike path) towards Northern, then turn around and come back. 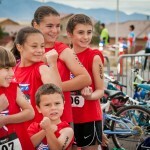 They will then ride their bikes DOWN Loma Colorado, towards Broadmoor, and come back. 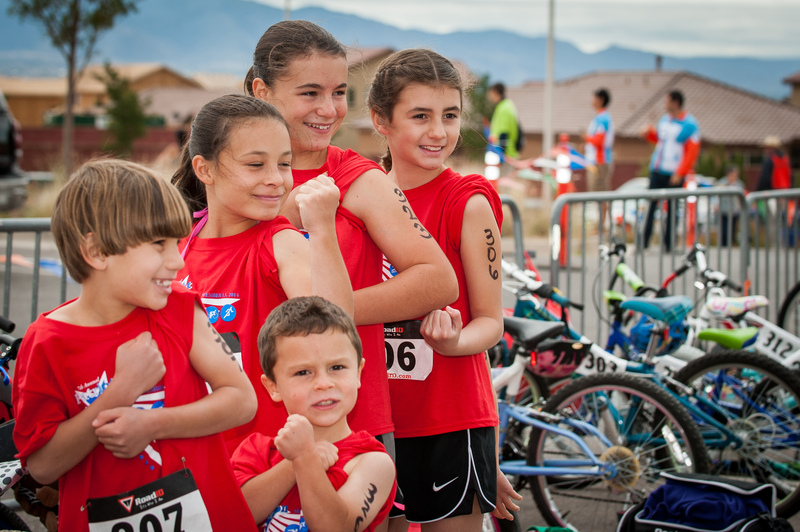 Loma Colorado will be closed to traffic during the kids race. Then they will run into the Aquatic Center and swim in the rec pool. How far each child goes depends on their age. There will be people on all parts of the course helping direct the kids. 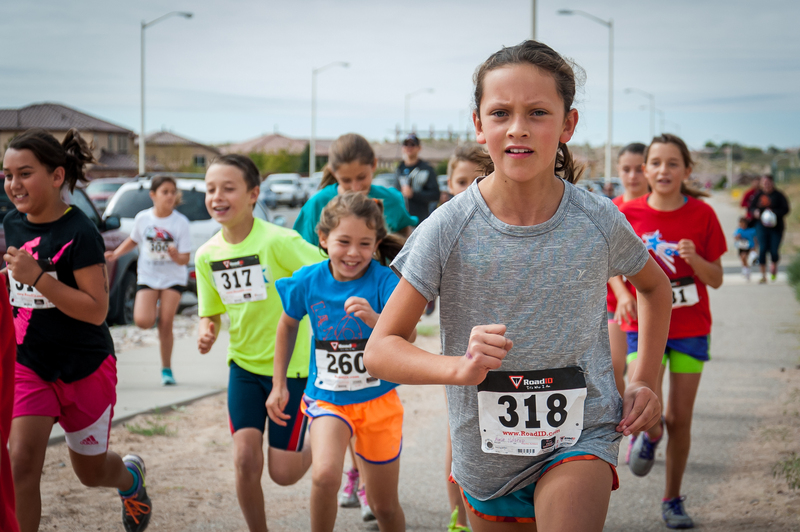 This is a non-competitive event, so if the child turns around early, or goes farther than his or her specified distance, it’s okay, as long as they are safe and don’t go beyond the course markings. ALL of the kids will be started at the same time unless there are more than 50 participants, then there will be waves. Approved helmets are REQUIRED. No helmet – no race. Please make sure the helmet fits properly. The bottom front of the helmet should sit in the middle of the forehead and the straps should be against the skin snuggly but without chocking the child. 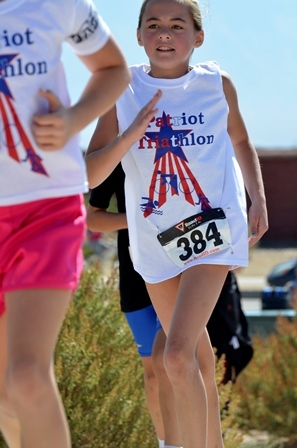 Appropriate shoes for running are also required – no sandals or flip flops please. 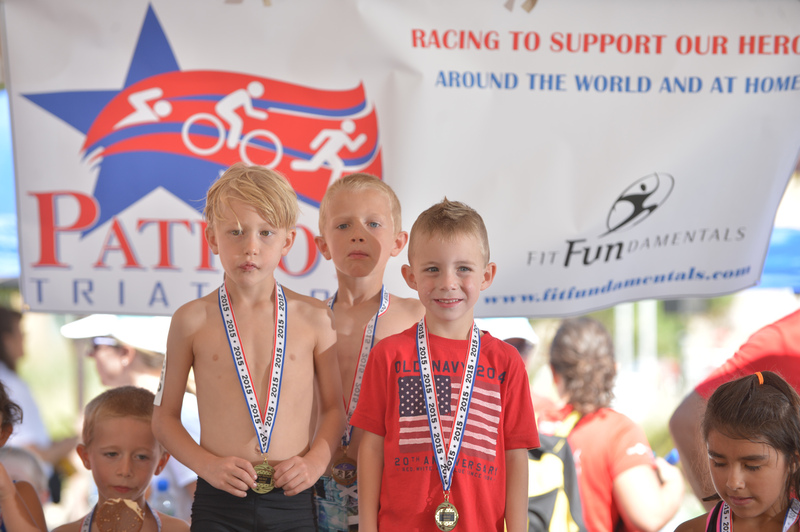 If your 5-6 year old child needs assistance during the race, you may give it to him/her so long as you do not impede any other participant. The exception is the swimming pool. 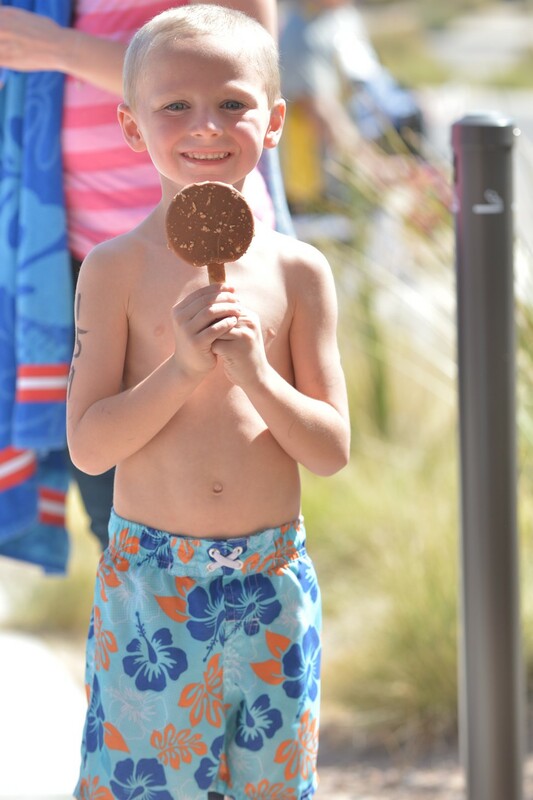 If your child may need assistance in the water, please talk to the Coordinator and request a life guard to accompany the child in the pool. NO parents are allowed in the pool. Youth 7 and above are expected to do the event on their own. 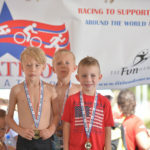 Each participant will receive a medal for participating in the event. 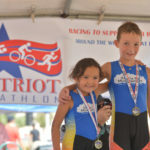 Once all the kids have finished we will assemble them under the tent and present them with their medals in front of the rest of the triathlon community for a photo opportunity. 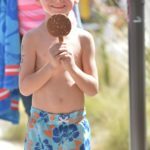 There will be a free Dairy Queen Dilly Bars at the end, compliments of the Rio Rancho Dairy Queen! 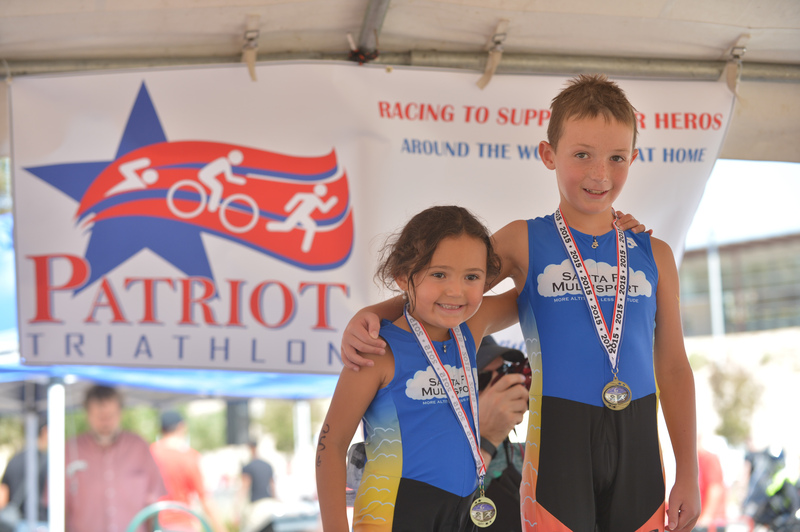 THANK YOU for allowing your precious ones to play at the Patriot Triathlon! We look forward to seeing you on Race Day! !